Designed to make use of the space below the handlebars, eliminating the need for a front rack. Constructed from high quality materials and optimized for durability and weight. Handlebar Packs are made expressly to carry the light, compressible and bulky items of your long distance adventure, or multi-day bikepacking kit to create a larger and more balanced load on multi-day adventures or when tackling steep climbs and technical trails. 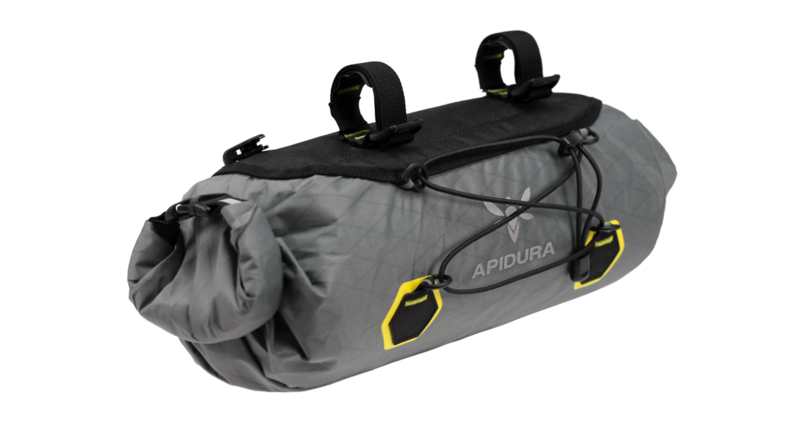 Modular and customizable; this pack can be used standalone for minimalist applications, or expanded with an Accessory Pocket to provide a handy space for additional food, lightweight electronics, and other essentials.  Available in two sizes, to accommodate a range of cycling needs and bike sizes. – Compact: Ideal for endurance road racers and randonneurs. 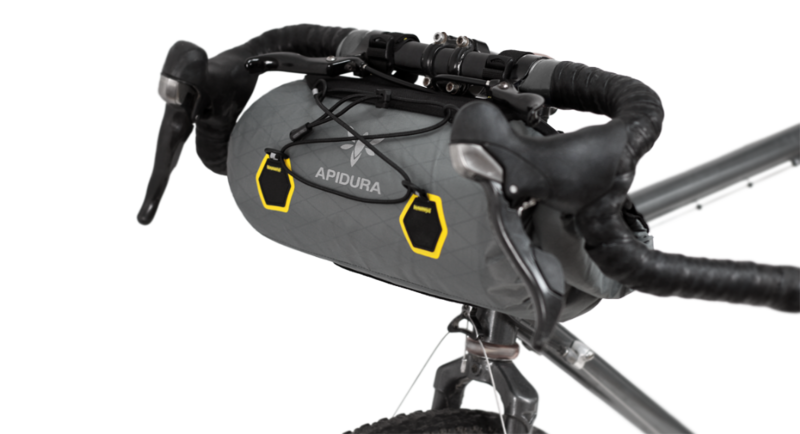 For guidance on packing and attaching your Handlebar Pack, click here.